Jungle Vista Inn is the perfect venue for your intimate dream wedding in Manuel Antonio, Costa Rica. Nestled into a beautiful hillside in the heart of Manuel Antonio, with undisturbed rainforest views, our unique hotel setting is just right for small destination weddings. With the opportunity to rent out the entire property with groups of 10-15 people we can help you design the ideal tropical paradise setting for your wedding. It may seem intimidating to go through the process of choosing the ideal destination and hotel for your wedding, but we have the experience and contacts necessary to make it easier and always unforgettable. Manuel Antonio is Costa Rica’s number one destination wedding area and for good reason! The combination of world famous tropical beaches, a world renowned national park, and diverse activities, tours, restaurants and shopping already make it one of Costa Rica’s most popular destinations. And with unique and intimate properties like Jungle Vista Inn its no surprise its also so popular for destination weddings. 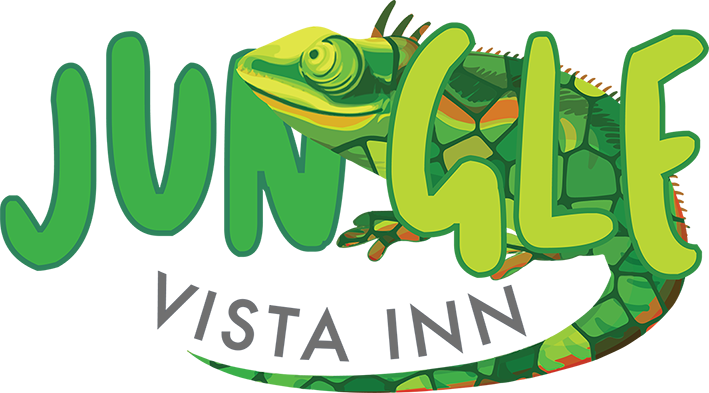 Jungle Vista Inn is located ideally in the center of Manuel Antonio’s most happening area, close to all important attractions, but situated just right so you feel like you have the rainforest all to yourself. As well, with our sister property Los Altos Resort we have on hand the best catering options available in the area, as well as even more experience creating and hosting unforgettable destination weddings!